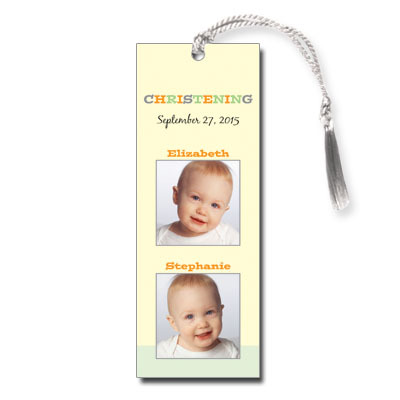 This is the perfect Christening keepsake bookmark for twins! Bright, youthful colors and fun type brings out the best in photos of your twins. Their Christening date is printed at the top with names above their photos. Measures 2x5.5 and comes with white satin tassels; light assembly required.